So... where does English football go from here? Now the dust has settled on England’s World Cup debacle, Club Website editor Dan Pope looks at where the national game goes from here and asks what can be done at all levels of the game to help turn things around. So that's that. Another World Cup is over. Sunday night's scrappy - some would say x-rated - final in Soccer City drew to a close a tournament that began in a sea of colour and noise one month earlier and continued in the same vein as the world's best football teams battled it out over a memorable and historic 31 days for South Africa. At least some of them lasted the month. England's humbling at the hands of Germany in Bloemfontein feels like a lifetime ago already and, after a shambles of a tournament, it seems everyone has been feasting on the carcass of England’s World Cup ever since. Supporters, pundits and sports journos alike have all taken their turn to point out what’s wrong with the game in England, with nothing exempt from criticism. The key factors suggested over a fortnight of introspection: an over-paid manager, over-hyped players, a fascination with 4-4-2, a professional structure that favours entertaining club football over a strong national side and a Football Association with little leadership, even less money and an inability to properly develop young talent. Chris Waddle’s impassioned rant on BBC Radio 5 Live in the immediate aftermath of the Germany game struck a chord with many supporters, perhaps because he showed more passion than many of the England players had on the pitch. Of those “other countries” referred to, one has stood out above all others: Germany, Die Mannschaft, England’s World Cup nemesis and the team whose pace, movement and intelligent football made the Three Lions’ rigid 4-4-2 approach in South Africa look like something out of the Dark Ages. Who would have thought, when Alan Shearer’s goal gave England a 1-0 win over Germany in Euro 2000, that, just one decade later, English football supporters, writers and pundits would be citing the German model as a beacon of best practice? 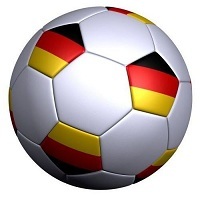 But, having left that tournament at the group stage - along with England, it must be said - and concerned about a lack of young talent coming through their ranks, the German FA, working alongside the Bundesliga, invested €500m in an overhaul of their youth development system. Fast forward 10 years and Germany have won the European Championships at Under 17, Under 19 and Under 21 level in the space of two years and their entire World Cup squad is made up entirely of Bundesliga or Bundesliga B academy graduates. What’s more, five members of last year’s Under 21 champion side – Manuel Neuer, Jerome Boateng, Sami Khedira, Thomas Muller and Mesut Ozil – were all regulars in a Germany side that finished third, beating England’s ageing team along the way by playing bright, positive football. Unfortunately, for those of you hoping the English FA might take a similarly drastic approach, there are a number of factors suggesting this is unlikely to happen. With the collapse of Setanta, the repayment of Wembley loans and Mr Capello’s salary among other things, the FA aren’t likely to have half a billion euros to throw at anything any time soon and, even if they did, they’d no doubt have more difficulty dictating to Premier League clubs just how they should coach their young talent. The whole system in Germany – from their academy setup to the winter break – is geared to aid the national team. The same cannot be said in England, where club football is king. The Premier League is the world's most popular domestic league but, with so many foreign players on the books – only four in 10 players are English – opportunities for talented English youngsters are limited. The link between the professional game and the England team is always one that causes much debate, but it's a debate best left to other columns on other websites, while here at Club Website we take a look a bit closer to home and the game's grassroots. As ever, a failure for the national team has led the media to focus on grassroots development more than at any other time in the four-year tournament cycle, with familiar cries to rip up the whole coaching system and start again from scratch in a bid to produce technically better footballers to match our continental cousins. But are things quite as bad as has been made out? 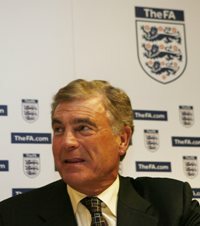 Sir Trevor Brooking, the FA’s Director of Football Development, admits that the problems facing the FA will not be solved overnight. “I am acutely aware there are no quick fixes and easy answers,” he told the Sunday Times. “My priority is on ensuring that, into the future, the England Manager has the very best talent at his disposal." But, whilst a long way off, Brooking believes the stepping stones to achieving this scenario are steadily being put in place. One of these, the long-awaited National Football Centre at St George's Park has finally been given the green light and is expected to open by summer 2012. 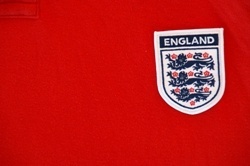 The centre, which Brooking sees as "vitally important for English football", will provide a home for English coaches at all levels from the national side manager to local youth team coaches - an estimated 50,000 coaching courses a year will take place there - and will provide "a symbol of national pride and hope for the future." 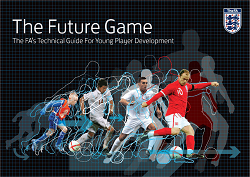 Another cause for optimism is the FA's new coaching blueprint, The Future Game, which was published this summer and distributed to academies at every single Premier League and Football League club. According to Brooking, the "vital and long overdue" document provides a "technical guide for youth coaches showing how we need to develop players to contest at the highest level of world football." The 275-page document - which Sir Trevor discusses in detail with FC Business in the July edition of The Club House - has also been sent to all FA coaching staff and UEFA Pro Licence coaches. It could be argued that this isn't delivering the document "as widely as possible," as Brooking believes the FA must, but it is at least a step in the right direction, as is the planned grassroots version of the document, due for publication later this year. 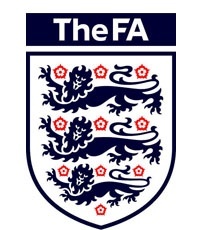 The impressive new blueprint should help improve the quality of coaching to those who have time to study it, but a bigger problem for the FA is having qualified coaches there in the first place to implement the new standards - something that Brooking sees as vital. "I am convinced," he says, "that, put simply, the key [to future success] is that we must have more and better coaches with access to more kids at an earlier age,” but a look at coaching numbers gives evidence of why England are playing catch-up. Since England's World Cup exit, there have been many people quick to highlight the disparity between the number of UEFA-licensed coaches in Germany (34,970), Spain (23,995) and Italy (29,240) with those in England (2,769). In fact, these figures date from a UEFA audit over two years old. The latest FA figures reveal there are 4,349 UEFA-licensed coaches in England, while our turnover rate for new coaches is, according to Brooking, "now on a par with all of Europe’s leading nations." Whilst still a long way behind the competition, this suggests a significant step in the right direction, as do more than 22,000 other people currently undertaking an FA course for a UEFA-licenced qualification. But it's not all about numbers. The quality of training that these coaches receive is also crucial, which is why the FA has also introduced the FA Youth Award, which trains coaches specifically on how to work with players as young as five, using age-appropriate techniques. Over 3,500 coaches have already taken this course and the FA have plans to introduce an age-appropriate elite UEFA 'A' Licence for the 5-11, 12-16 and over-17 age groups, something that is yet to be introduced elsewhere in Europe. With some decent plans on the table, let's hope that the FA's current financial predicament doesn't prevent them from getting off the ground. It's debatable whether or not a supermarket chain should hold such sway on the future development of young English players, but the FA will be very pleased that Tesco have extended their sponsorship deal for another four years. Some 1.5 million 5-11 year-olds have already passed through the Tesco Skills programme and, with funding guaranteed until the next World Cup, more coaches can be directed towards such a crucial area. "This 5-11 age group is key," says Brooking. "These youngsters must have mastered the basics skills of controlling the ball in their mini-soccer games so they can pass and dribble the ball with confidence. If not, they will struggle to cope with the tactical demands of 11-a-side football once they get into their teens. "We have to encourage flair and technique so that as players get older we can teach tactical awareness and good decision-making if we are to stand a chance of competing with other flourishing nations." Brooking's aims should be music to the ears of fans and pundits alike - they may even placate Chris Waddle - but everyone knows that talk is cheap. Actions speak louder than words. But we're all in this together. The FA has a responsibility to ensure that funding isn't diverted away from youth coaching to plug the gaps elsewhere in their budget, Premier League clubs must work with the FA wherever they can - the release of players for this week's Under 19 European Championship is a positive step - and those of us involved in kids' football on parks up and down the country must also do our part. If we want players at the 2018 World Cup and beyond who can unlock defences with a dribble or feint, then the playing fields of this country - and this applies right across the UK - are where they will start to develop those skills. I know that there is army of fantastic football volunteers out in force every weekend and the vast majority have nothing but the best intentions but, as I walk through my local park on a Sunday morning, it still alarms me how often the shouts from the mini-soccer touchlines praise safety-first football: a great clearance here, a hoof downfield there. It is this culture that Brooking is hoping to change, and he knows that the FA can't do it on their own: "We need the public’s support to drive a sea change away from the outdated image of kids’ football in this country – one driven by results with scant regard for developing future players. "At The FA there are dedicated people working very hard for the good of our game but we alone cannot provide all the solutions – we need everyone who cares about football to play their part and help us implement our new playing philosophy at all levels." It's hard to disagree with this last point. As we move on from South Africa 2010, the FA must take the lead and produce top quality coaches who, in turn, can produce the players to bridge the 'skills gap' between England and other nations, but we've all got to buy into their strategy if we are to get anywhere. If we want to produce footballers like Spain or Germany, we have to make sure that kids are comforable on the ball and are free to express themselves as they learn the game. Suggest the odd stepover or dribble, reward playing the ball out from the back, encourage that defender to stride out with the ball at his feet. Let that player express themself and, if it goes wrong, keep their head up and get them to try it again. And remember... does it really matter what the scoreline is? Dan Pope, Club Website editor. Follow Dan on Twitter at @danpope. Are you confident for the future of English football? What do you think of coaching in kids football? Is the FA doing enough to nuture the stars of the future? Or are they fighting a losing battle against an outdated results-driven culture? Whatever you think, have your say in our comments section below!